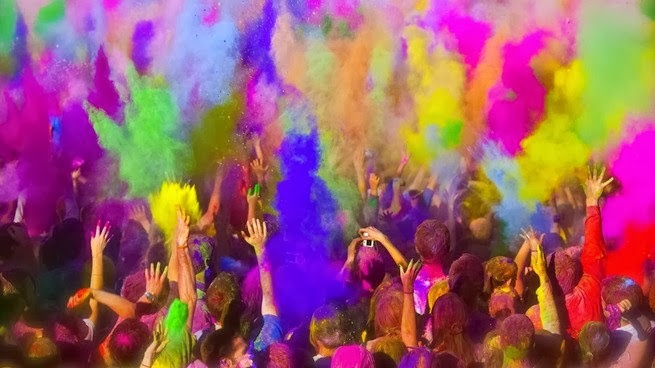 And included with that tutu, were registration tickets to the most aweseome-sauce 5k color run for that upcoming February. 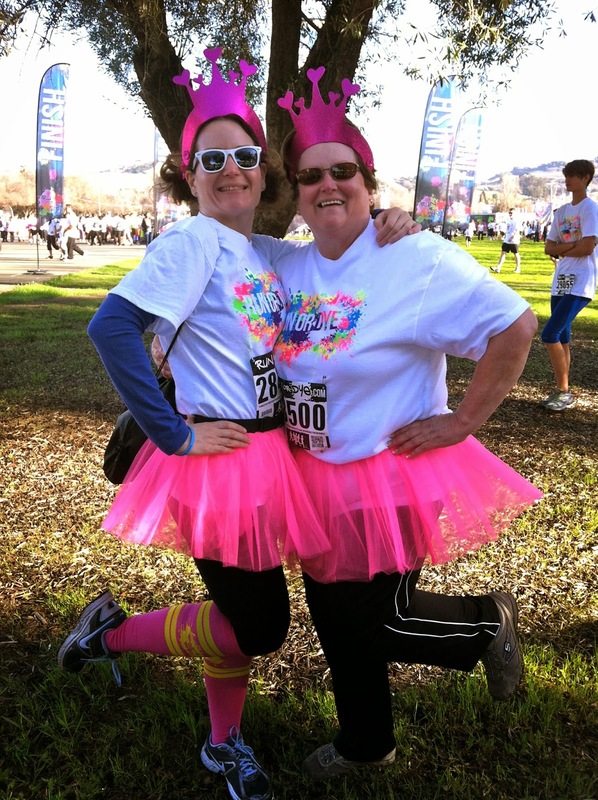 So what has happened since Mom received that pink tutu Christmas gift? Her hip, knees, shoulders, and feet hurt. 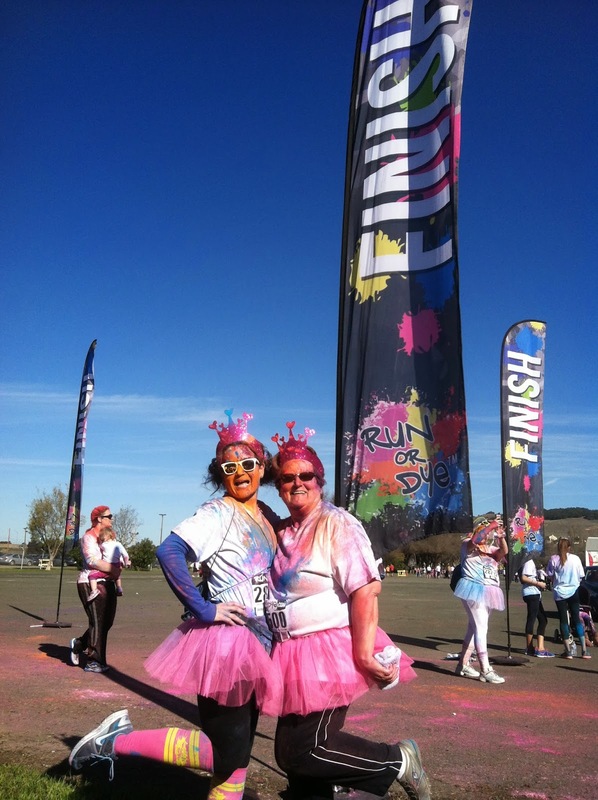 She was worried whether she would be able to walk a that entire 5k. She joined a gym and made friends with the treadmill. She started walking on that treadmill. She walked 5 times a week on that treadmill. I guess you could say that bright pink tutu lit a fire inside her. 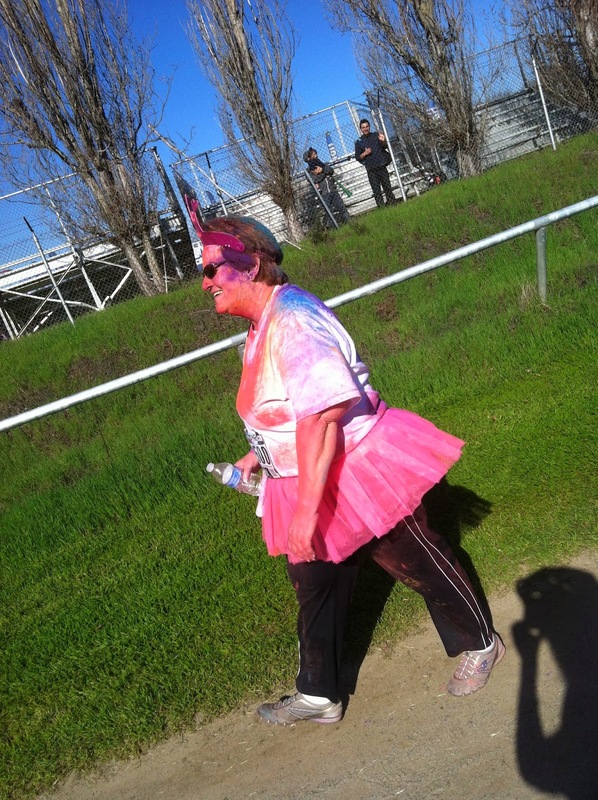 She was determined to wear that pink tutu and walk an entire 5k. She noticed that her hip didn't hurt anymore. Her feet, shoulders, and knees...the aches and pains were GONE. Mom was ready for the 5k walk. And this past Saturday, we walked that walk together. Gettin' ready for the 5k. No dye...yet. That is the best gift every. 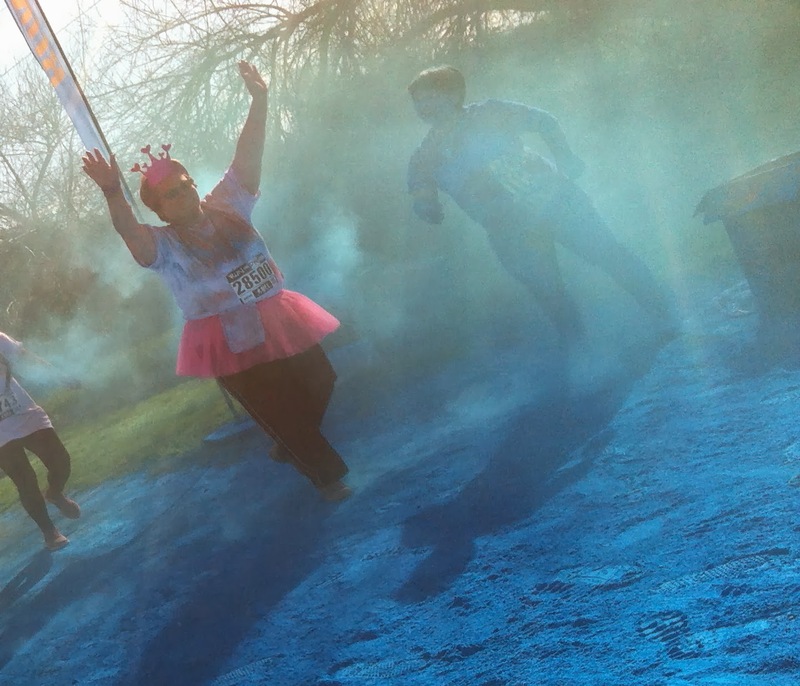 I love that she wanted to participate in that 5k so much with you that she took the steps to make it happen. Tell you mom she is AWESOME!!! 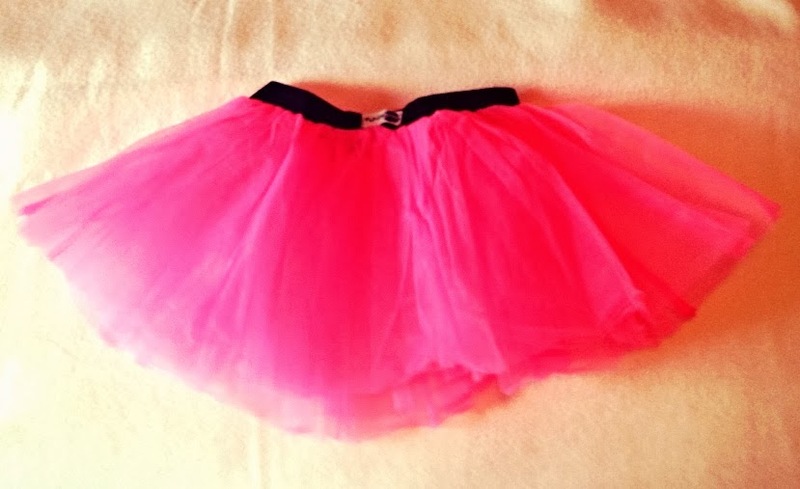 Who doesn't love a pink tutu?! Absolutely out-freaking-standing. Go mom!!!! This is great! I've signed up for 4 5Ks in the next 3 mos so this hit home for me. Thanks for sharing! Can You Imagine That Day?